For the second summer in a row, New Haven will transform from “the city that reads” to “the city that reads together”—this time about microagressons and everyday manifestations of racism. That announcement came Wednesday evening, as representatives from the International Festival of Arts & Ideas, New Haven Free Public Library, Gateway Community College, The Word, New Haven Public Schools (NHPS), Baobab Tree Studios, Citywide Youth Coalition and the Institute Library gathered to kick off the city’s “Big Read” at Stetson Library. This year, the festival has selected is Citizen: An American Lyric by poet and Yale Professor Claudia Rankine. 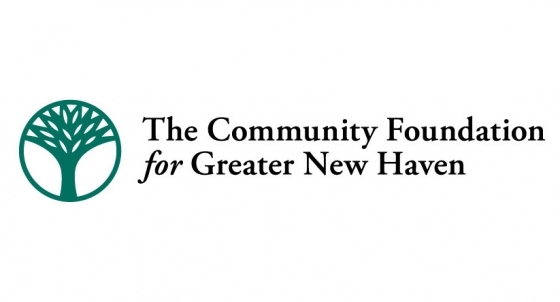 From now through June 23, the NHFPL will be distributing free copies at each of its five branches. The “Big Read” is run through the National Endowment for the Arts (NEA), from which the festival received $16,000 specifically for the program this year. Each year, the NEA provides a list of suggested books for its cities; Citizen is one of the 2018 picks. This year, New Haven is one of 75 cities participating. Festival Co-Director Tom Griggs. "We're thrilled to read and learn together," he said. Lucy Gellman Photos. A book of poetry, prose, and multimedia, Citizen opens with a series of vignettes in which Rankine is the intimate, unflinching first-person narrator, our front seat to the fact that racism is alive and well. Behind the cover—a work by the artist David Hammons that reads as a nod to Trayvon Martin’s hoodie, but was made almost 20 years before his murder in Florida—is a world of pain that will be intimately familiar to some readers, and too new to others. In one snapshot, she is in a checkout line, and the person behind the register asks her if she’s sure her card will work. A white friend who has checked out before her looks on, but says nothing. The cashier asked her nothing of the sort moments earlier. In another, her friend has stepped out onto Rankine's lawn in the evening, and a white neighbor calls the cops on him. Over the phone to Rankine, the neighbor assures it couldn’t possibly be her friend—he knows what her friend looks like, and this is someone else. But when she calls her friend to check in, she hears sirens in the background. The evening included performances from poets J-Sun (above) and Tarishi “Midnight” Shuler. To watch one of his performances, click here. The stories continue, punctuated by history lessons, detours in popular culture and visual art, until they flow into verse. Her prose is succinct and hard-hitting, carrying with it the weight of history, and white America’s collusion in its misdeeds. So too the poetry, which demands reading and rereading for its use of language and dense verse. From now through the end of June, the International Festival of Arts & Ideas and its participating partners will be holding over two dozen community conversations, film screenings, and family learning programs across the city. The kickoff also included a "Hoodie Decoration" activity led by artist Katro Storm. But the book has already been making an impact in New Haven, where it is being taught in this semester’s Gateway Community College curriculum and in six New Haven public schools. Earlier this year, The Word came in to train teachers in a Citizen-focused curriculum, and will be hosting a poetry slam linked to the material on June 13, at First & Summerfield United Methodist Church downtown. So too at Gateway. As poets J-Sun and Tarishi “Midnight” Shuler performed (watch the video at the top, or a Facebook live from the event here) and attendees munched on collard greens, macaroni and cheese, potato salad, and cornbread from Sandra’s Next Generation, Festival Co-Director Tom Griggs said that the team was excited to announce Gateway as a new partner. In March, the college’s poetry club hosted a discussion of Citizen, where students read aloud from the book and then talked about the experiences that Rankine had gone through, and how those lined up with their own. Then on May 1, the college brought Rankine to campus, after students requested a chance to meet the poet, and ask her questions about the book. Welcome to the "Glam and Cheese Corner"